You could probably eat a shoe if it were smothered in this syrup. Admittedly that’s one of the few things I haven’t tried it on, but if you ever have to eat a shoe, hopefully you have some of this on hand. I use this on waffles, french toast, pancakes, cake, cheesecake, ice cream, fruit, greek yogurt, or just on a spoon straight from the jar. It’s quick and easy and lasts a long time, especially if you refrigerate it. There are only 7 ingredients and the majority of them are pantry staples. You will want to use a medium saucepan for this recipe. This won’t seem logical at first, because you won’t have near enough syrup to fill a medium pan, BUT the vinegar, baking soda reaction is going to give you a bubbling “growing” liquid as it cooks. If you use a small pan you may end up cleaning your stove over several hours. SO, moral of the story? Medium saucepan. Begin by pouring your cup of coconut milk and tablespoon of vinegar into a measuring cup. The vinegar will not curdle the coconut milk, like it would with regular cow’s milk (On an unrelated note: Vinegar and milk are a WONDERFUL substitute for buttermilk if you ever find yourself without. ), but I’ve found having it mixed in with the milk lets it spread more evenly through your pan. Now go ahead and put all the ingredients, EXCEPT YOUR EXTRACT, into the saucepan on the stove. 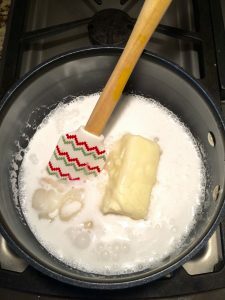 So your sugar, corn syrup, baking soda, butter and coconut milk/vinegar combo will all have a nice get together in your pot. 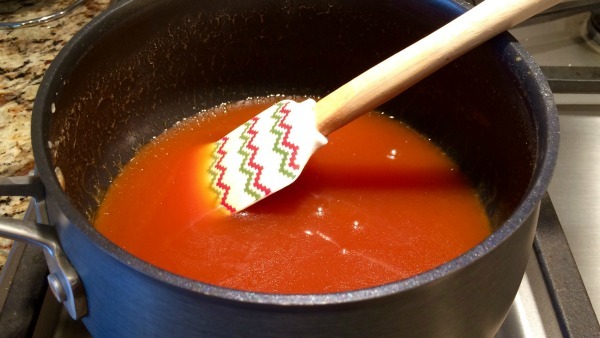 Stir your ingredients diligently until they come to a boil, and then lower the heat to get a low simmer. I usually turn my heat about as far down as it will go. 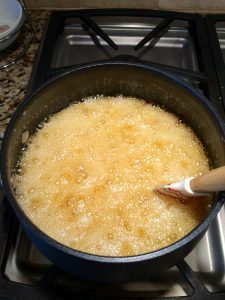 Continue to stir your syrup for about 5-6 minutes. Feel free to set a timer, that way you don’t overcook it. You will notice your syrup begin to darken. Remove your syrup from the heat and add your extract. If you want to highlight the coconut flavor, use coconut extract. I use 1/2 a teaspoon, but you could use a full teaspoon as well. Start small and taste, then work your way up to the coconut flavor you want. Or if you want more of the caramel flavor highlighted add a teaspoon of vanilla extract. It’s so pretty, and tastes even better than it looks. 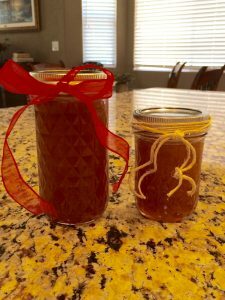 I usually store my syrup in a mason jar in my fridge, but they also make wonderful gifts. 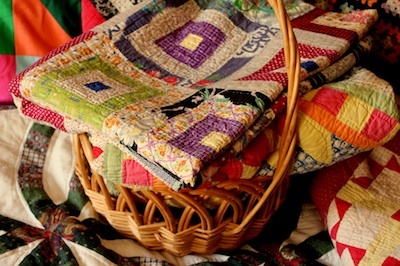 This particular batch is being used as a birthday gift for my grandmother and a thank you gift for my mother-in-law. Be creative with this one, and let me know what you decide to try it on! 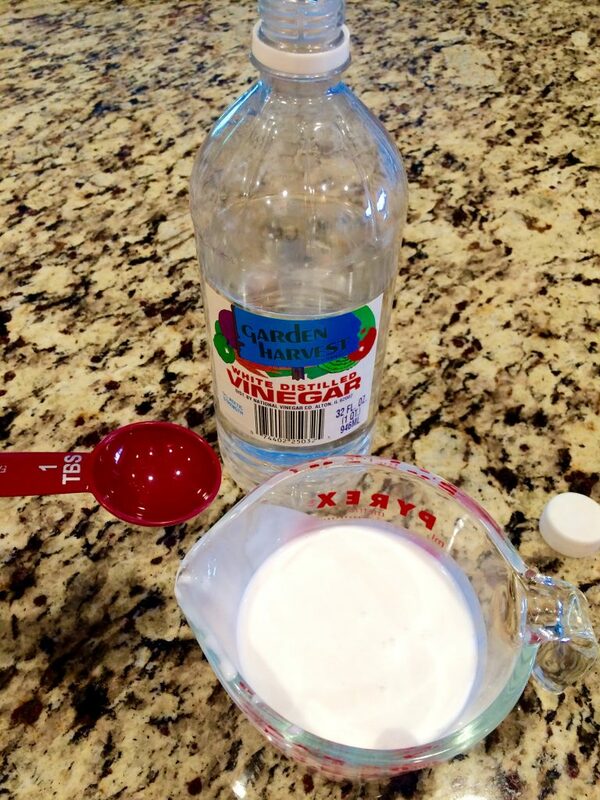 Combine the coconut milk and vinegar in a measuring cup. 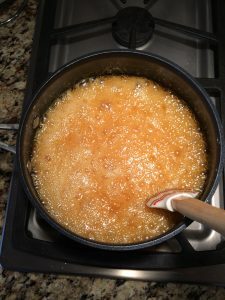 Combine the sugar, baking soda, corn syrup, and butter in a medium saucepan. Stir in your coconut milk mixture. 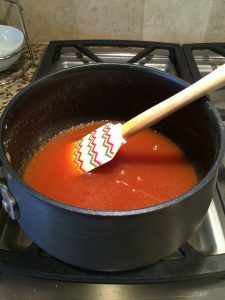 Stir constantly as you bring your mixture to a boil. Lower the heat to simmer, and stir diligently for 5-6 minutes. 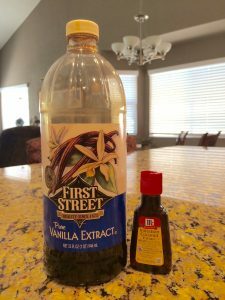 Remove your syrup from the heat and stir in the extract of your choice. If you store it in the fridge it will need to be heated to a syrupy consistency before use. Hi thank you so very much for sharing this recipe.I can’t wait to try it. Going to have to give this a try. It sounds so yummy.